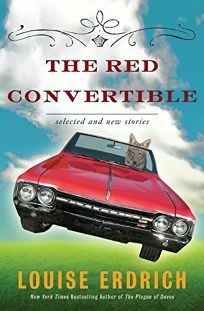 Masculine women, gorgeous sports cars rich with family history, rugged plains, river currents, stubbornness and entropy wend through this spellbinding collection of ten new and 26 previously published stories from prolific Midwestern author Erdrich (The Plague of Doves). Many of Erdrich's protagonists are American Indians (Chipewa, Kapshaw, and Ojibwe feature prominently) of mixed ancestry (French, German, etc.) and difficult means. Erdrich's character-driven stories are rooted in the mystery of the everyday, stretched across the bones of folklore but cured in the brine of modern life: ""as an Indian,"" Gerry finds it "" difficult... to retain the good humor of his ancestors in these modern circumstances""; another protagonist concludes that ""the only interesting Indian is dead, or dying by falling backwards off a horse."" Absurdity and a strained sense of humor keep Eldrich's closely observed tales fresh, making it clear that the life of an ""interesting Indian"" takes many shapes. An exquisite anthology, this volume should cement Erdrich's reputation as one of contemporary America's best short fiction writers.